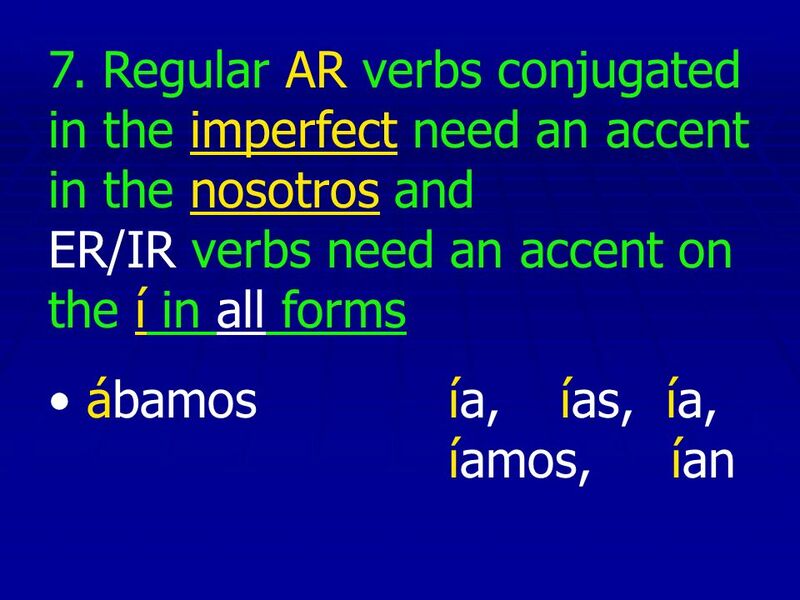 Apuntes… La Acentuación Accents. 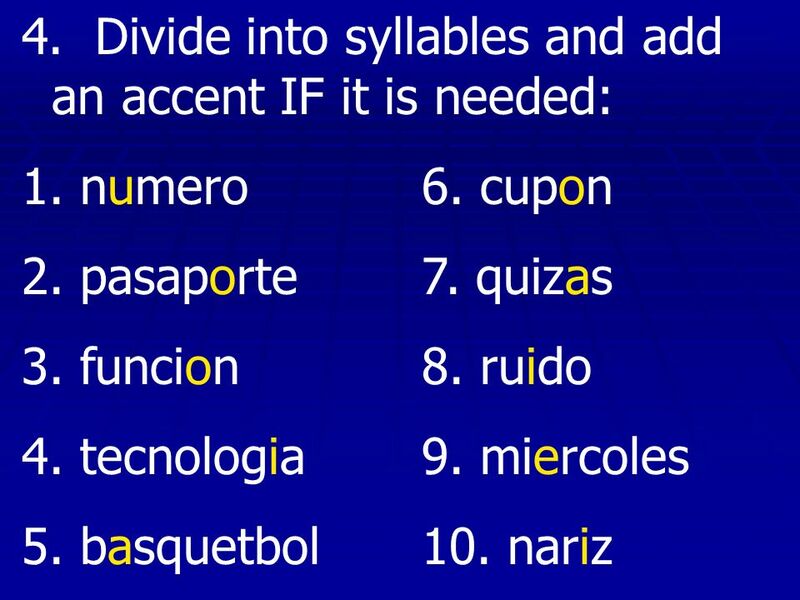 To know when a word needs an accent, you need to know... A) That some words always need accents: 1. 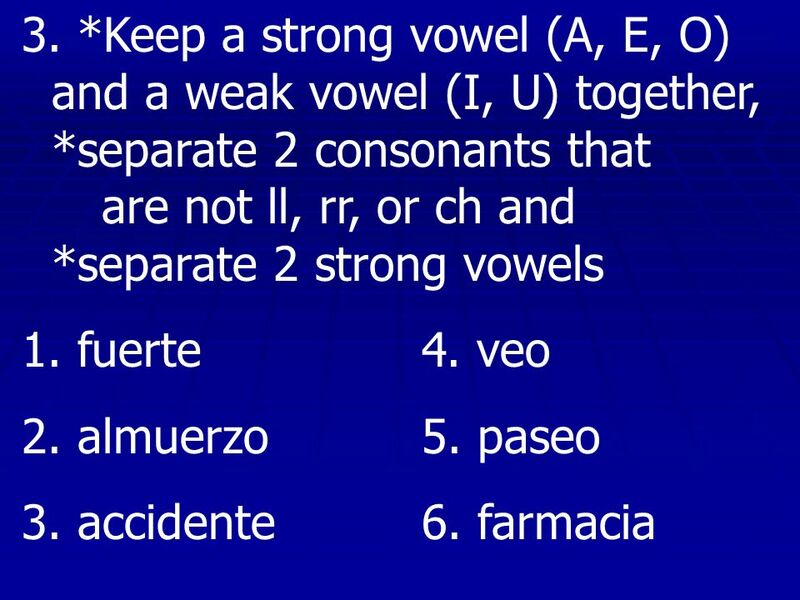 Question words ¿Qué? 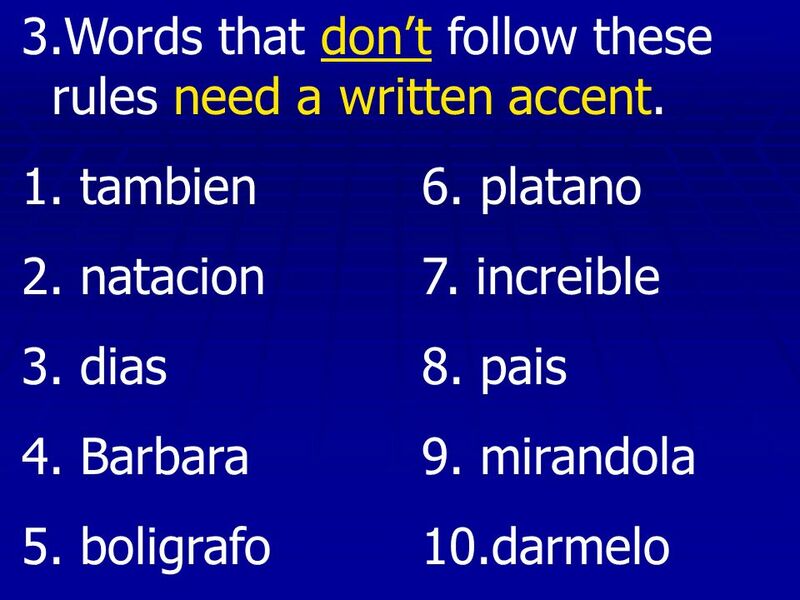 2 To know when a word needs an accent, you need to know... A) That some words always need accents: 1. 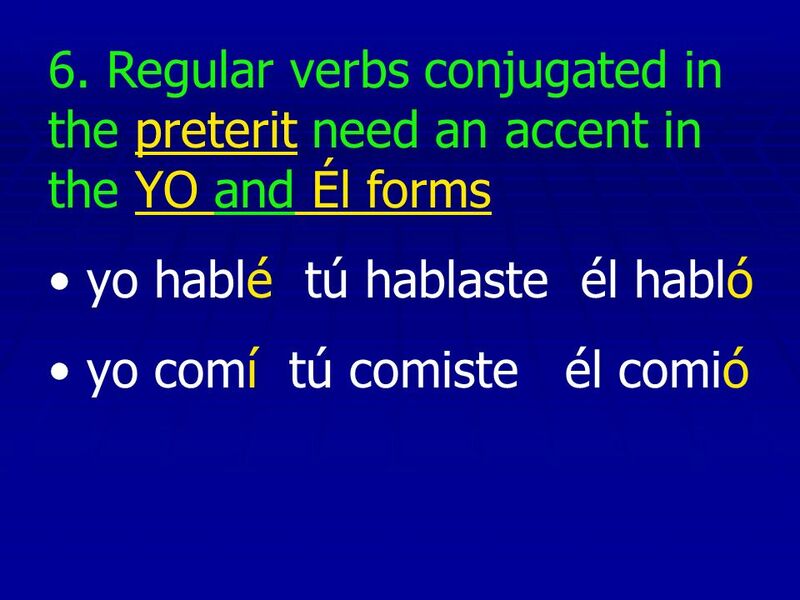 Question words ¿Qué? ¿Cómo? 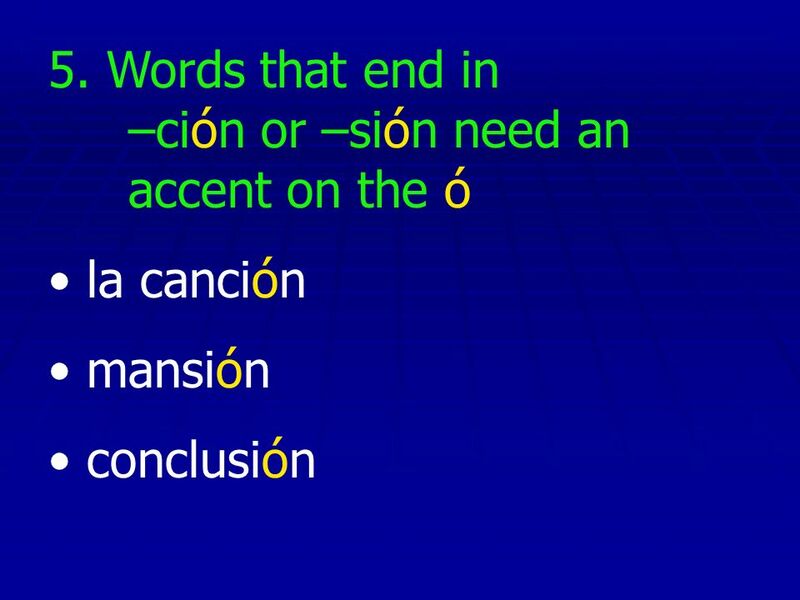 ¿Cuándo? 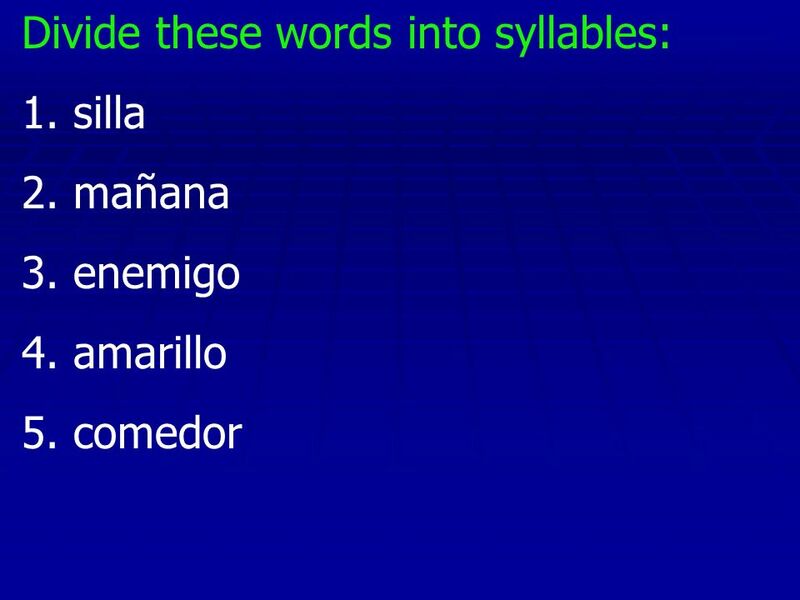 ¿Dónde? 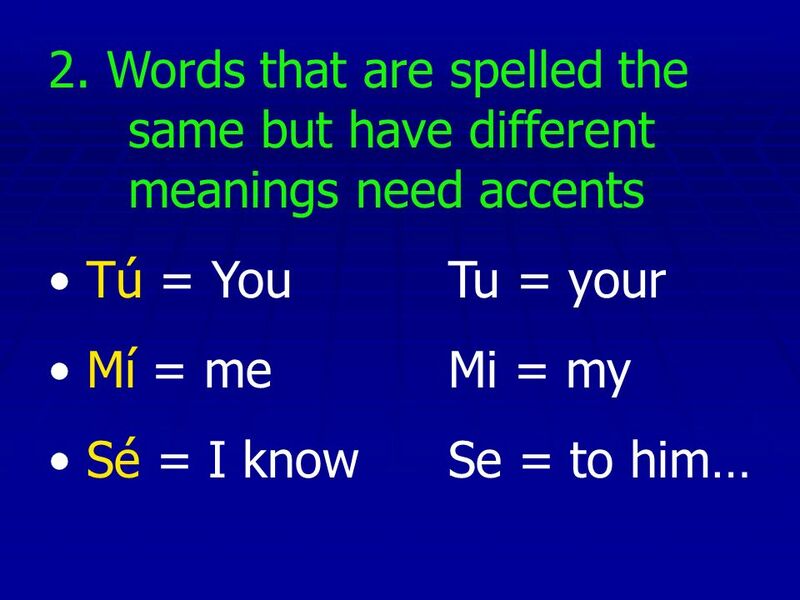 ¿Quién? 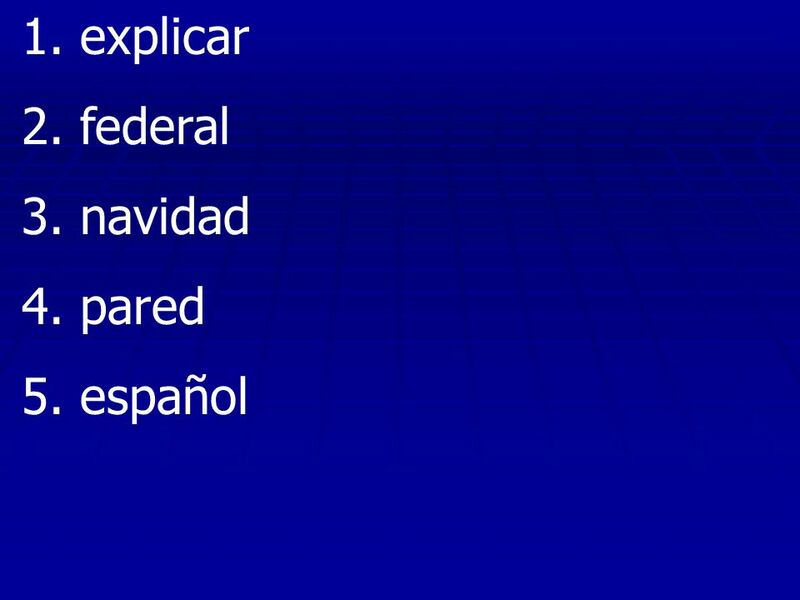 ¿Por qué? 4 3. 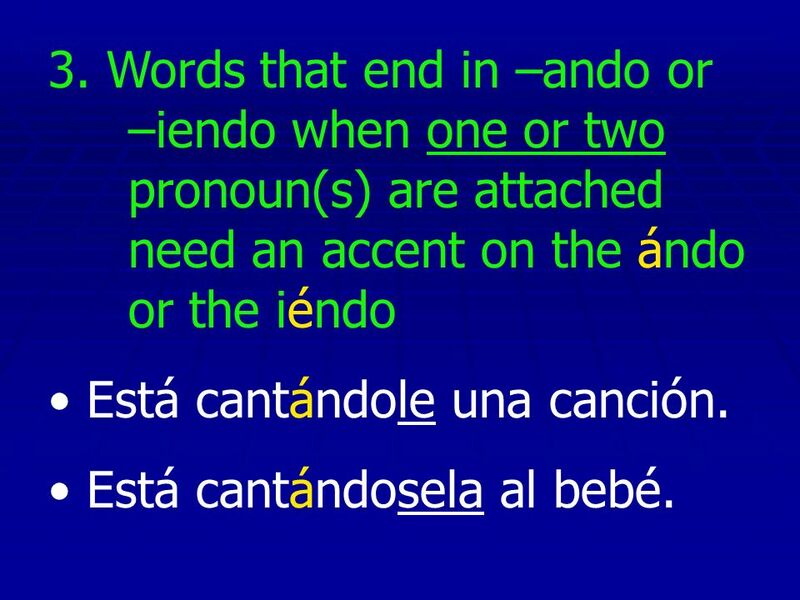 Words that end in –ando or –iendo when one or two pronoun(s) are attached need an accent on the ándo or the iéndo Está cantándole una canción. Está cantándosela al bebé. 5 4. 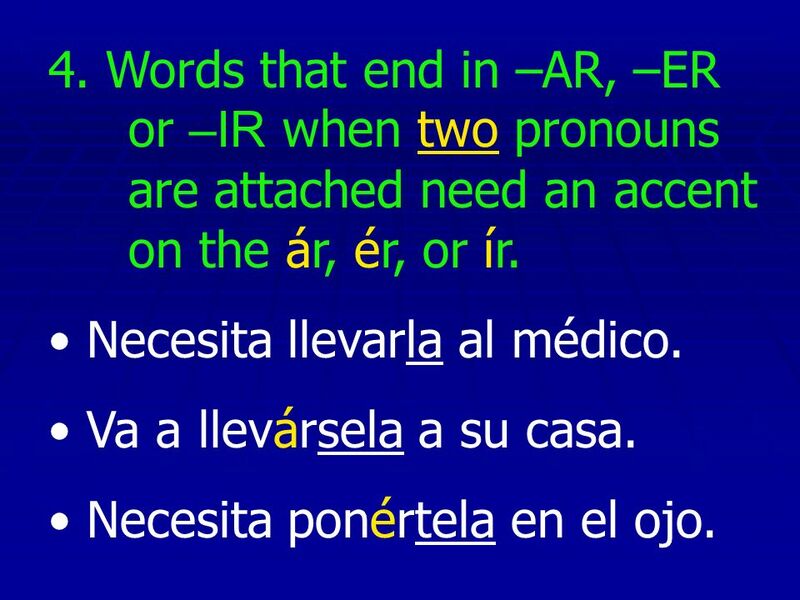 Words that end in –AR, –ER or –IR when two pronouns are attached need an accent on the ár, ér, or ír. Necesita llevarla al médico. Va a llevársela a su casa. Necesita ponértela en el ojo. 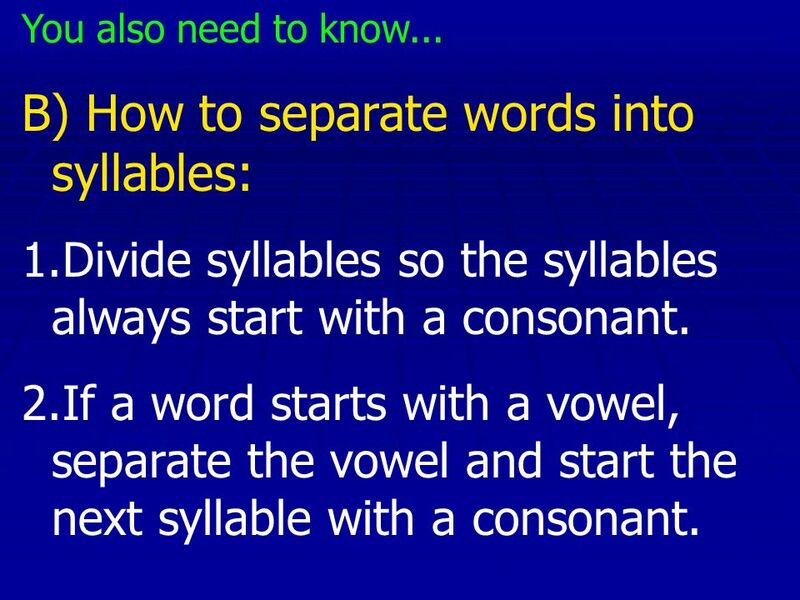 9 You also need to know... B) How to separate words into syllables: 1.Divide syllables so the syllables always start with a consonant. 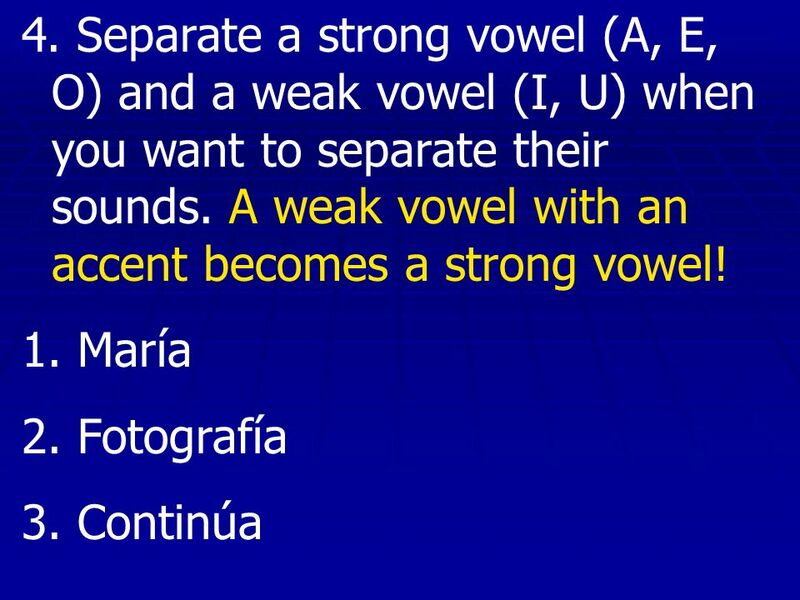 2.If a word starts with a vowel, separate the vowel and start the next syllable with a consonant. 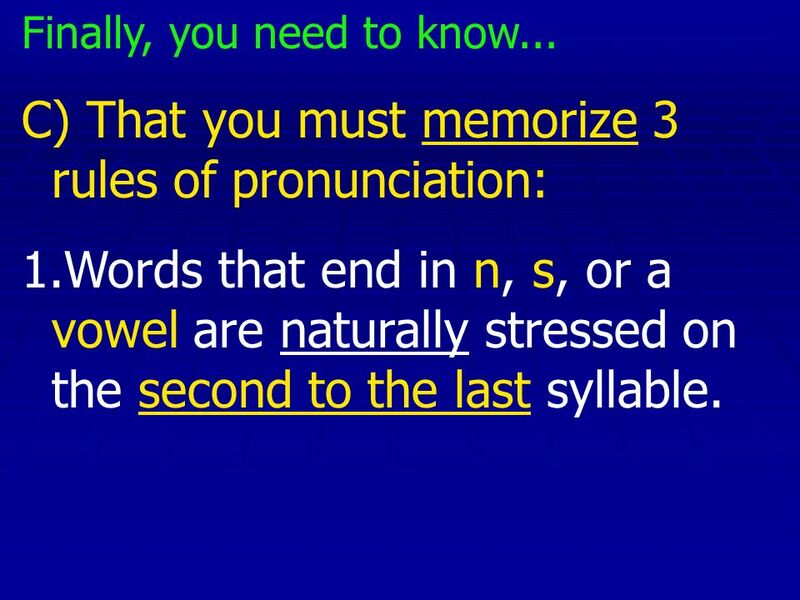 13 Finally, you need to know... C) That you must memorize 3 rules of pronunciation: 1.Words that end in n, s, or a vowel are naturally stressed on the second to the last syllable. 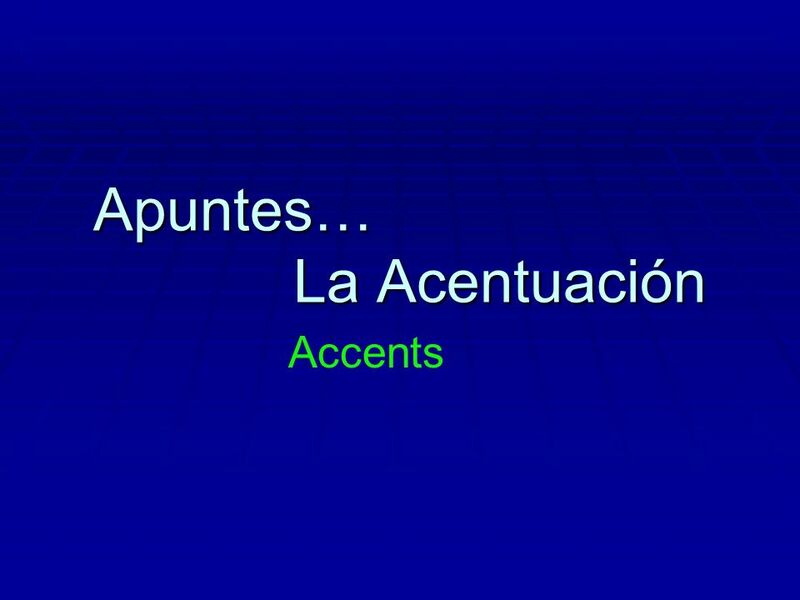 Descargar ppt "Apuntes… La Acentuación Accents. 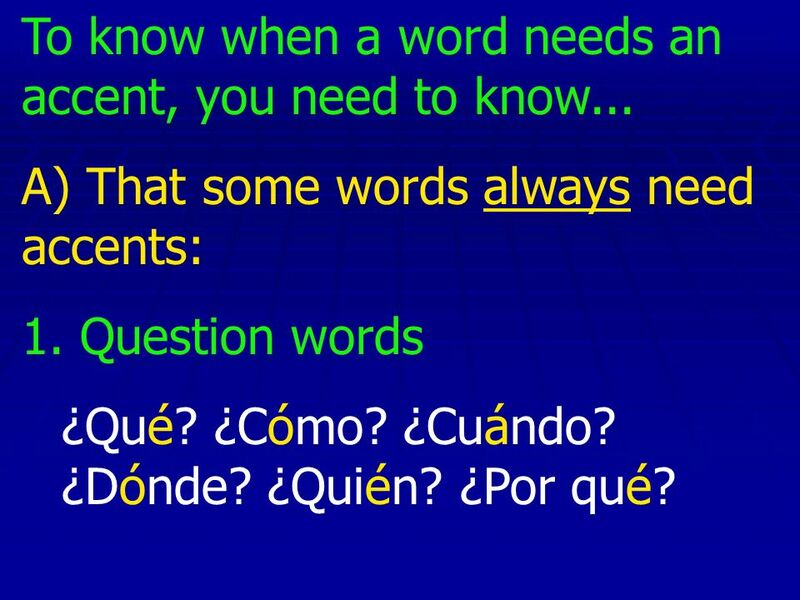 To know when a word needs an accent, you need to know... A) That some words always need accents: 1. 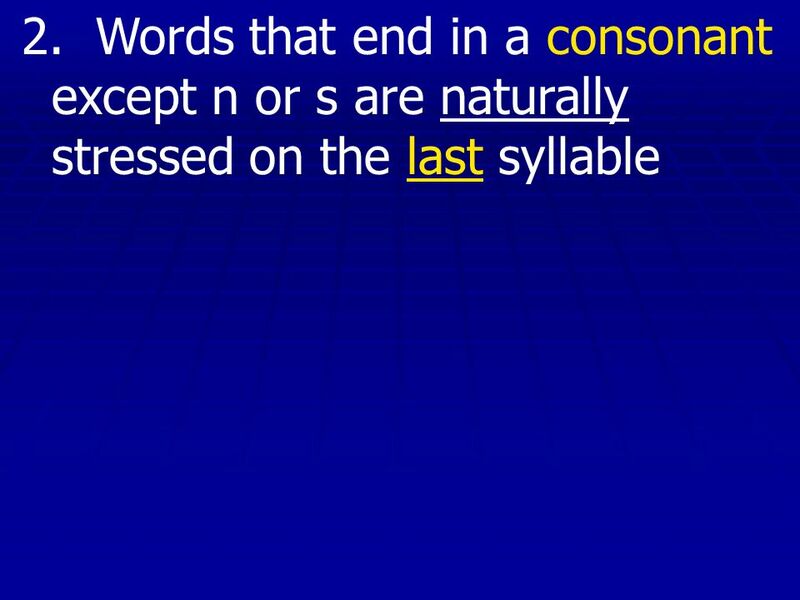 Question words ¿Qué?"